PICC organizes and co-sponsors many events including lobby days, public actions, educational trainings, citizenship days and member meetings. Below are upcoming and recent PICC and PICC member organization events. After spending a year learning from our community members, PICC is excited to present the 2019 Welcoming Schools Report! The report provides a snapshot of the experiences of immigrant and refugee students and parents across PA that can help guide educators and school administrators in creating and evaluating policies and practices at their schools. Tuesday, April 23, 2019 from 4:00 PM- 5:00 PM. This webinar will provide important recommendations for schools and school districts, student and parent personal needs and important resources to be used across the state. Register today! Please visit our Welcoming Schools Campaign resources to download our toolkit where you will find important information on the rights of immigrant and refugee students and families in the school system, Welcoming Schools resolutions and how to create change locally. Through this workshop, you will be equipped with an understanding of your basic rights, or the rights of someone you may know who encounters Immigration and Customs Enforcement. Additionally, we will walk you through the necessary steps for your family to be prepared in the event that you or a loved one is detained. This workshop will equip participants with an understanding of the basic rights with respect to Immigration and Customs Enforcement and the opportunity to practice exercising them. Additionally, we will walk attendees though the steps that families and employers can take to be prepared in the event that a loved one or employee is detained. Governor Tom Wolf and the Pennsylvania Department of Human Services have the power to issue an Emergency Removal Order on the Berks County Detention Center, an action that would ensure the facility can no longer be used as a prison. It is not only their moral obligation to keep families out of jail but their legal responsibility. FAMILY DETENTION IS BREAKING STATE LAW. For more details, talking points, and background, see the Facebook event and the Shut Down Berks page. On April 25th, organizations across the country are calling for the end of immigrant family detention, separation, and deportation. Family detention, family separation at the border, and deportations are all tools of a broken immigration system. For far too long, immigrant families have experienced the heartbreak of family separation through unjust detention and deportation. It is time for every city, county, and state to say no to immigrant detention and no Immigration and Customs Enforcement (ICE) presence in their communities. It is time for Governor Wolf to #ShutDownBerks! See the Day of Action Toolkit for ideas, sample social media posts, and graphics! In an effort to inspire the newly-arrived refugees and immigrants in following in the footsteps of their professionally successful predecessors, the International Service Center (ISC) will be organizing a Career Orientation event on Friday, May 3, 2019, from 10:00am to 12:00pm. Mr. Tika Ram Dhungana, the CEO/President /Owner of Our Home Care LLC will share the successful experience of his American Journey “From a Refugee in Nepal to Business Owner in America”. Please RSVP by Tuesday, April 30, 2019 by contacting Phuong at (717) 236-9401 email: tnp@isc76.org, or Tuan at (717) 236-1523 email: tuan@isc76.org. Join us in celebrating and acknowledging all of our amazing volunteers and interns! The success of many of PICC’s programs rely on the time and dedication of students and community members who show up every week to help register New Americans to vote, create educational materials, and call new voters before elections. Stop by for some food and fun! Light refreshments will be served at 5:30, with a short program at 6pm. Please Register by April 26,2019 . or Contact Prudence Powell at 215-832-3481 if you have any questions. This call is for youth ages 14-25 in PA interested in learning how to engage with immigrant rights work. We will cover different topics each week. Topics are selected by our youth membership. REGISTER FOR THE CALL HERE. You will receive material and follow up information after each call. Visual Artist, Michelle Angela Ortiz will be screening her short documentary, “Las Madres de Berks”, as part of her “Familias Separadas” public art project which amplifies the stories of families affected by detention and deportation in Pennsylvania. “Las Madres de Berks” documentary shares the testimonials of four mothers that were detained for 2 years with their children at The Berks County Residential Center, a family prison in Pennsylvania. The documentary also features the artworks that Ortiz created based on the Berks mother’s stories that were unveiled in Harrisburg during a statewide action against family detention led by her community partner, the Shut Down Berks Coalition. The screening will be followed by a talkback to learn ways to take action to end family detention. This screening is presented in partnership with the Shut Down Berks Coalition and the Pennsylvania Immigration and Citizenship Coalition. Thanks to the support of The Fleischner Family Fund of the Philadelphia Foundation, The Free Migration Project, and the Robert Rauschenberg Foundation. Free Citizenship Class being offered in Northeast Philadelphia. 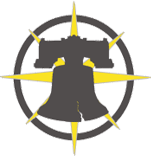 The Welcoming Center for New Pennsylvanians and the New World Association (NWA) are working together to host a class at NWA at 9857 Bustleton Avenue, Philadelphia, PA 19115. Classes will run Tuesdays and Thursdays from 7pm-9pm. Join activists from around the state who are working to stop all anti-immigrant legislation in PA and to pass pro-immigrant policies at the municipal and state levels. Every call we will have an in-depth presentation on a different topic or campaign. Please register to receive the information to join the calls. Register Today! This clinic will offer participants the opportunity to be screened for eligibility for various forms of immigration relief, and to consult with an immigration attorney at no charge. Some participants may additionally be eligible for pro-bono or low-bono representation. Those who do not qualify for financial support will be provided with referrals to trustworthy private immigration attorneys. Join immigrant and refugee communities, grassroots organizations, advocates, and allies from across the state for workshops, networking sessions, and opportunities to meet with legislators. Learn more about the event and register today! We are excited to announce our 5th Statewide Immigrant and Refugee Youth Leadership Convening! We believe in the important role and impact of young leaders in our movement. This is why PICC has continued to engage immigrant youth from across the state in advocacy, provided support and direct leadership development! 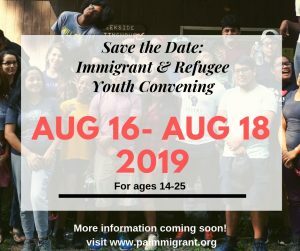 In order to ensure that youth voices are at the core of the immigrant rights movement and decision making PICC has developed a new Youth Membership Initiative and continued to host our annual Summer Immigrant and Refugee Youth Convening. 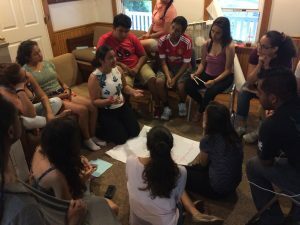 Our convening will bring together 30 immigrant youth that originate from different walks of life across PA. During the weekend attendees are able to share their stories and develop leadership skills, organizing skills, and have a chance to build relationships with other youth who share similar experience and goals! This event is open to immigrant, refugees and children of immigrants. Location: Summer camp. Location will be shared only with youth applying. PICC will host information sessions to share stories from past participants, what to expect from this weekend and answer any questions you may have about this event. Sign up for PICC’s newsletter to know when these sessions will be or visit our website’s calendar. We host monthly meetings to work on the convening . PICC Youth members are welcomed to join these calls. Click here to become a PICC Youth Member. All attendees will help with fundraising- PICC will provide and assist with a fundraising plan! We are here to support your leadership and teach you along the way! CALLING PAST ATTENDEES: Join our convening organizing team! Your role will be to help us figure out content for this event, activities, possible trainers/speakers, fundraising and help with outreach to your friends. Commitment: 5 1-hour planning calls in the evenings starting June- July. Stay tuned for registration and more information on our convening! Check our website soon for more details! Please contact Maria Sotomayor at mariasotomayor@paimmigrant.org or 215-832-3482 if you have any questions.